"Somerset" is one of the nicest 58 West Bay's on the market. She is a one owner vessel that has been kept in freshwater her entire life, which offers a rare opportunity to own a low-hour, lightly-used West Bay. 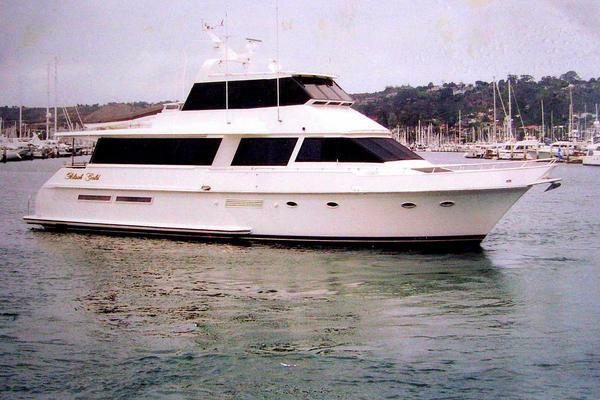 The West Bay 58’ Motoryachts is one of the highest quality yachts ever built in its size range. Built just outside Vancouver,CA by a Dutch family that has been in the boat building business for generations. From the Cockpit/Aft Deck you enter the Salon through double doors with a large U-shaped sofa to port and occasional chairs to starboard for a casual entertaining experience. Going down several steps you will find 3-Staterooms with the Master Stateroom all the way aft and a queen size bed and en-suite head with separate shower stall. The VIP Stateroom is forward with a walk-around queen size bed with a full head and shower stall, which is shared with the third Guest Stateroom. Located forward with a walk-around queen size bed with a full head and shower stall, which is shared with the Guest Stateroom, which features two bunk beds.